Natalie Meddings is a doula and the founder of Tell Me A Good Birth Story, so sharing positive tales of birth is her way of life. She knows this subject extremely well, and has already covered it extensively in her previous book, How To Have A Baby. 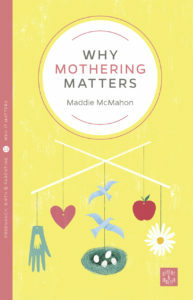 Her latest book fits nicely into the Why It Matters series, adding a good helping of How It Works so that this handy little text is both political and practical. 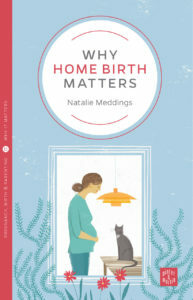 Meddings examines current attitudes to birth generally, and homebirth in particular, both from the medical perspective and that of the general public. However her own perspective, that “birth has never been safer” (p17) guides the reader as she explains the how and why of homebirth in a way that makes both logical and intuitive sense. For expectant women and their partners, this book has a useful level of detail, making homebirth a realistic possibility, and without neglecting potential “forks in the road” (p109). This is a good resource for getting informed, and for navigating the various faces of the health service in a positive and productive way. This is the kind of little manual that you really could carry around with your pregnancy notes, dipping in as needed or wanted, to really immerse yourself in the way of birth. Maddie talks about the process of writing the book in Episode 46 of Sprogcast. Disclosure: I’m a fan of Philippa Perry. I’ve read her other books and I’ve seen her speak a few times. When I saw that she had written a parenting book, I shamelessly pestered for a review copy and an interview for Sprogcast. The book arrived (and the interview was arranged; aim for the stars, people). It says it is a parenting book for people who don’t buy parenting books, which seems like an unusual marketing strategy. I think what she means by this is that hers is a non-mainstream position, she doesn’t lay down the usual guidelines about how much sleep the baby needs or pussyfoot around with the whole “just do what’s right for you” approach; nor at any point does she list the useful gadgets and best possible wardrobe for the accessory-baby of your dreams. 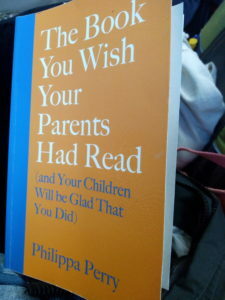 TBYWYPHR(&YCWBGTYD) starts by looking at how you, the reader, were parented, and by encouraging some reflection on the impact this has had (or could in future have) on your parenting. There are some short exercises to help with this, and a couple of illustrative anecdotes. It’s about noticing your trigger points, being aware of negative self-talk and where that comes from, and avoiding judgement. These sound like straightforward ideas with sound reasoning behind them, until you ask yourself how to put them into practice. Happily the rest of the book goes on to explore this process, by looking into the world of the child and showing how empathy and compassion can be such powerful tools both on an everyday basis, and in difficult situations. The chapter on pregnancy was of particular interest, as this is the one place where Perry really gets into the socio-cultural context of parenting. There is a lot more to say about the challenges that modern parents face, in a world where expectations of parents are at odds with this approach. And crucially, most parenting books don’t touch on this at all. Perry uses her own life experiences to demonstrate some of her points, giving examples where she got it right, as well as examples of when she got it wrong but it turned out okay anyway. What I took from this was not that she was a smug perfect mother who always knew the right thing to say, no, but that none of us is perfect and that just because we get it wrong sometimes that doesn’t mean we shouldn’t try. Parenting is, as Perry says, a long game with a high up-front investment in the relationship. I felt that the book became increasingly practical, and I was particularly grateful for the ten or so pages on parenting teens (perhaps the next book could expand on this). Parents of toddlers would find it useful, especially on days when parenting feels like wading through mud, and not in a good way. Most people reading it will wish that they had read it sooner, so I am strongly recommending it for the expectant parents in your life, alongside a huge helping of support. While it’s never too late to do better, it’s definitely never too early to be more compassionate and understanding. Emma Rosen knew she had a book in her, and motherhood gave her the material. Milk is, as subtitled, a story of breastfeeding in a society that’s forgotten how. The thing that will stay with me long after reading this, is how strongly I identified with her experience of feeding her first baby; and (although I never experienced this, having stopped at one), how healing I found it to read about her second birth, along with the feeding and mothering experience that I will always wonder if I could have had. 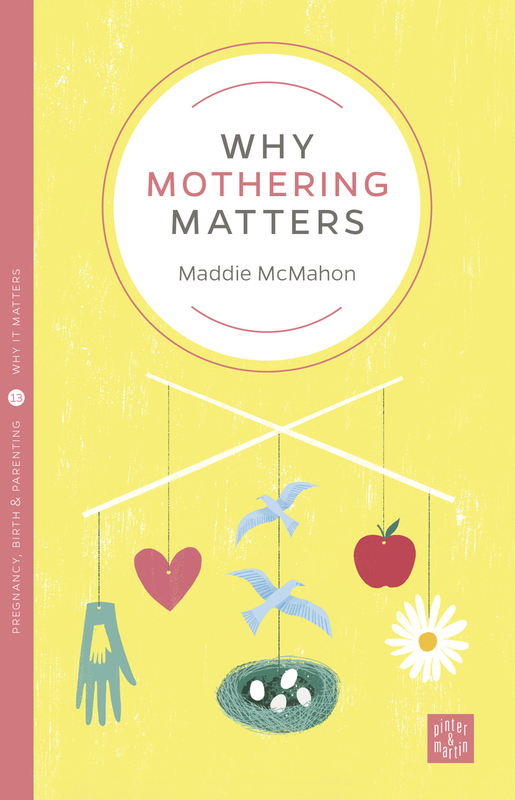 I hope this book gets out to pregnant women, in that place where it is hard to grasp the reality of life with a baby, and prepares them just a little bit more to navigate those early months. 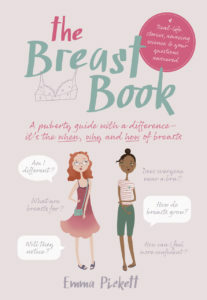 Emma’s book alternates between telling her own story, and telling the story of breastfeeding; and in doing so, places her own experience within the wider context of breastfeeding in 21st Century Britain, and in the world, and all of history. There is so much useful information here, and it is thoroughly referenced, too. For anyone looking for insights into pregnancy, birth, and the world of a new mother, this is a really lovely read, and one that doesn’t shy away form the gritty reality of the physical and emotional changes of this momentous time. This might be the first time I’ve read a book that really succeeds in conveying that reality without either hyperbole or sugar coating. A properly good book. 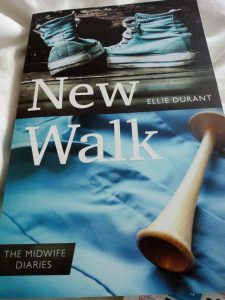 New Walk is the first novel of midwife Ellie Durant, and a fitting companion-piece to Alice Allan’s Open My Eyes from the same publisher. 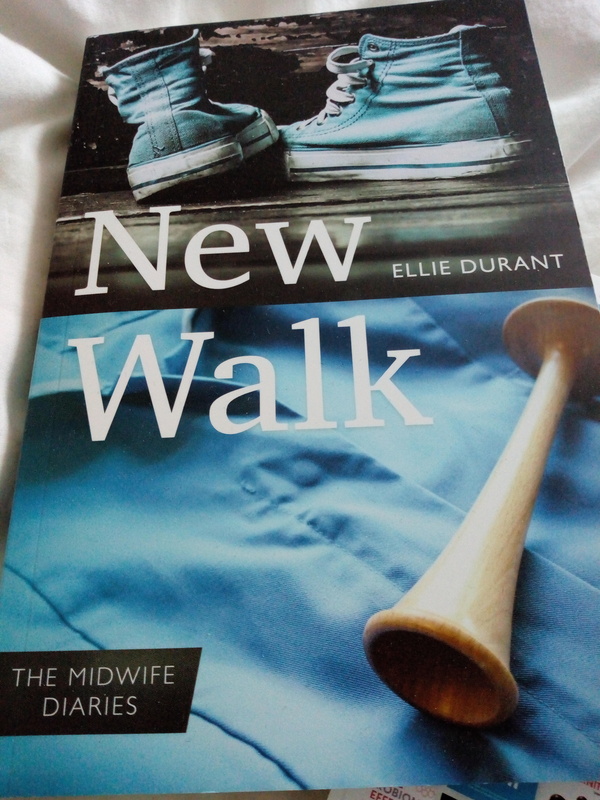 It tells the story of Chloe, a Leicester teenager who has been the responsible member of her family in the years since her mother died, and has finally decided to do something for herself, and applies to study midwifery. The main philosophical theme of the book is that dilemma between selfishness and responsibility: do women have the right to decline medical advice? Or to choose what happens to their own bodies? And who has the power? Chloe is a likeable character going through some tough times, supported (or not) by a diverse cast. The plot may not twist much, but it is soundly structured, satisfyingly ended, and well decorated with the details of Chloe’s learning about pregnancy and birth. Ellie Durant writes confidently about what she knows, giving this novel a sincere and grounded feel. It’s light reading with some darker tones: great summer lit.